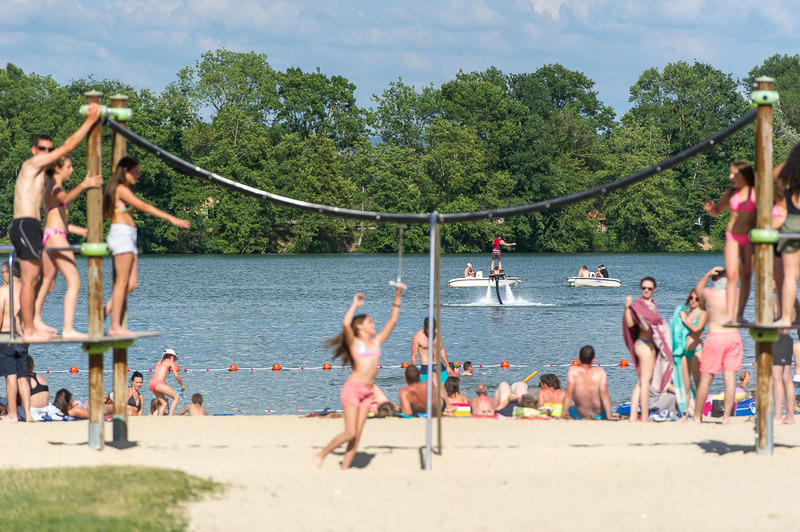 Enjoy the pleasures of the beach in the heart of Bresse, with 500 m of sand and the 95 ha of lake available during your stay! 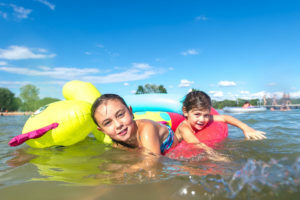 On the menu: relaxation for parents, sand castles and games on the beach for the children, and, of course, a refreshing swim! 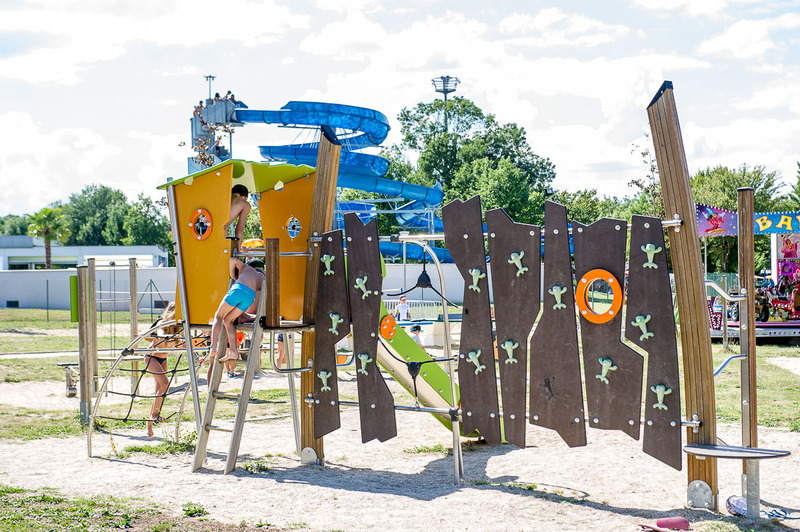 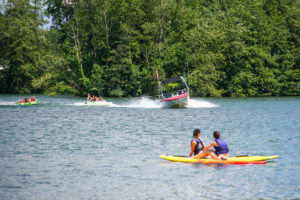 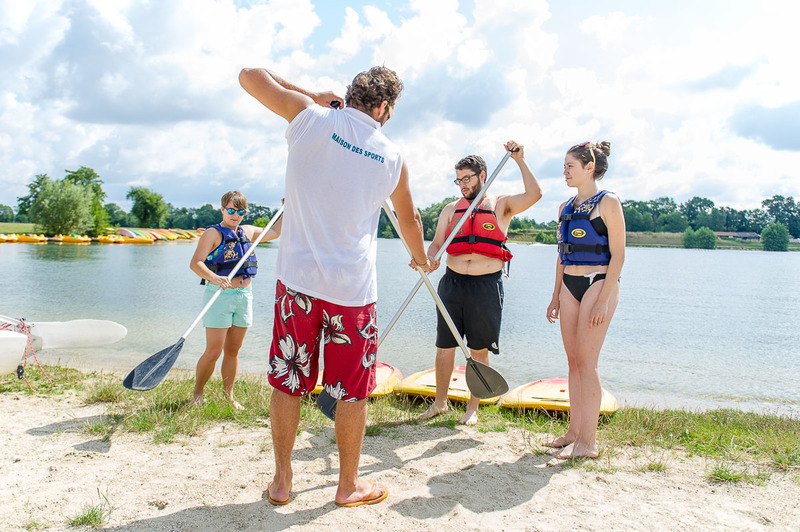 You can also enjoy your favourite water sports on the lake: head for the Sports Centre where our instructors will be pleased to set you up with the necessary equipment. 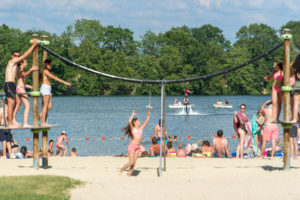 Access to the beach is free for campers, there is a charge for day visitors from outside the campsite.